Spring fever is hitting everyone hard this time of year. The weather is finally warming up and summer is peaking around the corner. Both the students and myself are feeling a bit like the walls are starting to close in. So how do we combat this feeling in both ourselves and our students? Making memories definitely has a place in our classrooms, but what does research say about outdoor learning? The research is astounding on the benefits of outdoor learning. A lot of research is focused on science lessons outdoors, but I feel we can apply that to all areas of the curriculum. According to a recent study featured in Frontiers in Psychology, students were more engaged and retained more information from lessons given outdoors. This study looked at two classrooms teaching the same lesson, the only difference was the location of the lesson. One was in a traditional classroom, while the other was in a green-space outdoors. The researchers noted how teachers fear moving their classes outdoors because they think their students will not be able to concentrate. This research found the exact opposite. The outdoor teacher was actually able to teach for longer periods of time due to fewer redirections. Research also proves that being outdoors helps reduce anxiety. Recently, I published an article on anxiety in the classroom. In this article, I outlined the surprising rise of anxiety and depression in the classroom. Being outdoors is another way we can help students relieve stress. Many research articles outline the benefits of being outdoors on stress. An article in Business Insider outlines 12 benefits of the outdoors on health. These are geared toward adults, but can be applied to children as well. So, when the kids are feeling the walls close in, take them outside for a lesson or two. This will help them refocus their attention on the lessons they desperately need during state testing “crunch time”. Let’s be real, not every school is conducive for outdoor learning. Maybe you are in a city that doesn’t have a green space or your principal won’t allow outdoor lessons for safety reasons. Maybe the weather is still too cold for you to go outside! Whatever the reason, don’t let that stop you from using nature in the classroom. This may take more creativity on your part! Have indoor plants in the classroom. This is an easy way to bring nature inside. Indoor plants can improve concentration and help air quality (bioadvanced.com). Sign me up for anything that helps improve the quality of air in my classroom, especially during flu season! I love this NBC article because it not only outlines the benefits of indoor plants, but it also gives tips on easy species to maintain. If you are like me, you need easy in your classroom. If indoor plants are not an option, use ART! Nature is a very common topic in art. You can display nature around your room without any actual nature! Bring in different artists visions of nature and have an art chat about them. Talk about the mood and tones of different nature pieces. For example, show Monet’s Bridge over a Pond of Water Lilies and Golden Gate Bridge by Leonid Afremov. Then discuss the tone and mood and the use of color in nature. Another thing I love to do in my class is play the “what -if game”. This is a game is as it sounds… “What if there was tornado that came through this painting. How would the landscape be different?” Tailor this game to focus on the standards in class. This works well, especially with science curriculum. Think about landforms, weather, weathering, etc. The possibilities are limitless. Self-care is so important this time of year. Even if the year has been wonderful, we are all still feeling the strain. The end of the year is always one of the most stressful times for me. Pressure of State Testing is right on top of us. The “what will happen next year” rumors begin. And honestly, my brain is tired. I find myself drawn to the outdoors. As mentioned above nature is a wonderful way to ease this pressure. Take advantage of whatever nature you have at your disposal! Go for a walk around your neighborhood, go to the lake, spend time at the beach. Get out and forget about school for a while. Our students need us this time of year to be fresh and on top of our game. We have to devote time to ourselves outside of school so that the students get our best selves. Instead of dreading spring fever in your classroom, embrace it. Take your kids outside. Research backs up the benefits for both your students and you. Be creative if needed. Summer is just around the corner! 5 Benefits of Houseplants. (2017, July 13). Houseplants can instantly improve your health and happiness. Loria, K. (2018, April 22). Being outside can improve memory, fight depression, and lower blood pressure – here are 12 science-backed reasons to spend more time outdoors. Simmons, M. (2019, January 29). 4 Ways to Help Students with Anxiety. Michelle is a 5th grade ELA teacher in Pensacola, Florida. 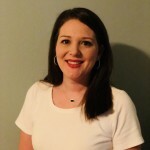 Originally from Mississippi, she has over seven years of experience in grades 2nd - 5th. She holds a Education Specialist Degree in Curriculum and Instruction from Delta State University. Michelle is an avid lover of the arts and believes in using them as a gateway to broaden her students' understanding and compassion.